Stephen Hiddingh was brought up in Cape Town, South Africa. 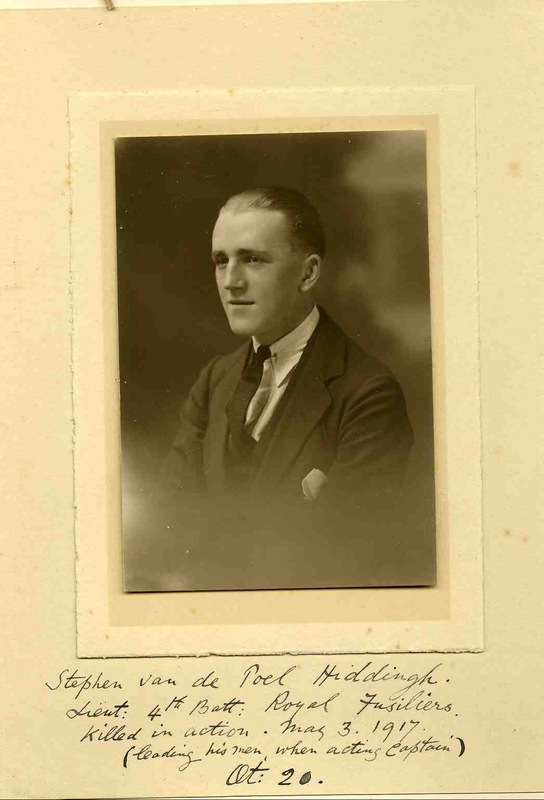 He spent just one year at Radley before going to school in Neuchatel, Switzerland and then to Sandhurst in 1914. 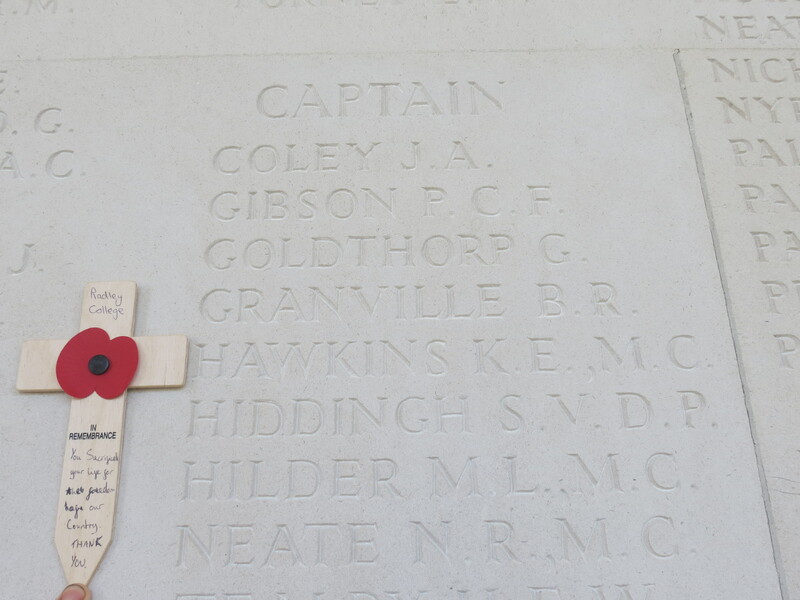 He was in the fighting at Delville Wood last year, and came home invalided in August. He returned to the front in February, and was recommended for the D.S.O. “for marked gallantry and initiative” in April. His Colonel writes: ‘He led his company with the greatest gallantry; he was first wounded in the arm, but still continued on when I understand he was killed by machine gun fire.’ He was one of the very best officers in the battalion, and had already been recommended for special recognition and the D.S.O. Posted in Commemorating the Fallen of WW1 and tagged A Social, Battle of Arras, Flanders & France (Western Front), Lieutenant, Marching in Memory for Combat Stress July 2015, Sandhurst on 3 May, 2017 by archives602.